We either learn to live the life we want, or we get dragged down by the things we don't want. Don't let things to weigh you down. Only allow things/people/places in your life that lift you up. Better you. Teach you. Allow you to grow. Bring you happiness. 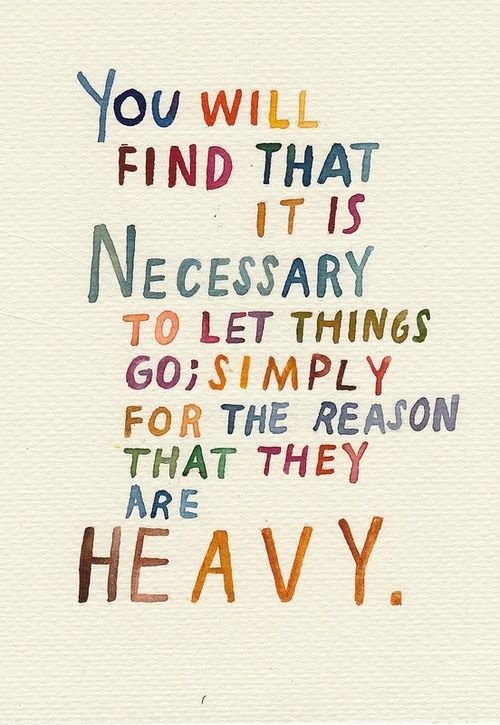 Everything else is much too heavy. Exactly what I needed... thanks. I've been following your blog for awhile now and I just wanted to say, you are such an inspiration. I'm grateful for your words! Hi Brianna! I've been a follower of yours for a while but never usually comment, but just wanted to say that you are a true inspiration. I've always been someone who has wanted to get toned and make fitness a prominent activity in my life, but most days I make excuses why I can just 'start tomorrow.' Your blog and story have been so motivating and I love posts like these that remind me that my biggest challenge is myself! Hopefully I'll be able to take small steps towards better health and fitness and keep it that way like you have!